DIDIER BIGO, King’s College London. Presented by CIPS and the Security Studies Network. 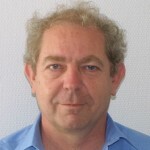 Didier Bigo is professor at King’s College London, department of War studies and research professor of international relations at Sciences-Po Paris/CERI. He is also director of the Center for study of conflicts, liberty and security (CCLS) and editor of the quarterly journal “Cultures & Conflits” published by l’Harmattan, as well as founder and previous co-editor with Rob Walker of the ISA journal « International Political Sociology » . His works focus on critical approaches to security in Europe and the relation between internal and external security, as well as on sociology of policing and surveillance. He is interested by the nexus between the disciplines of sociology, politics and international relations analysing the circulation, contradictions, and heterogeneities of these bodies of knowledge. He has conducted and has participated to different European Framework Programmes in the last ten years.